Polarized plugs reduce the risk of electrical shock on many home appliances and lighting. A polarized plug has two prongs of different widths. In time, plugs can become damaged and frayed, requiring replacement. Failure to replace polarized plugs that are damaged can result in fire hazard and electrical short circuit. To change a polarized plug, you must know how the wiring is set up so that you can ensure a safe appliance once finished. A polarized plug has prongs of contrasting sizes to reduce risk of electrical shock. Purchase a new polarized plug from your local home improvement store. Prices range depending on brand, but polarized plugs are fairly cheap. 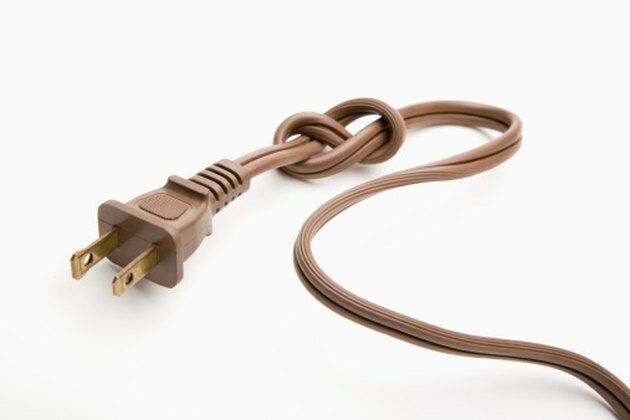 Do not purchase a non-polarized plug for an appliance that is equipped with a polarized cord and wiring. Remove the old plug from your cord. Some polarized plugs simply snap off of the cord while others have to be unscrewed using a small screwdriver. Set the old plug aside. Pull the cord apart along the seam to separate the two wires. Identify your neutral wire. The neutral wire is marked by ribbing or a white stripe running its length. It may also be a white wire next to a black wire. This is the end that will be wired to the larger prong. Strip 3/4 inch of insulation off of each wire with wire strippers. Apply a small amount of pressure and pull to remove the insulation. Twist the wires tightly to ensure a snug fit inside of your plug. Attach the neutral wire to the wide prong side by sliding it into the opening behind the prong. 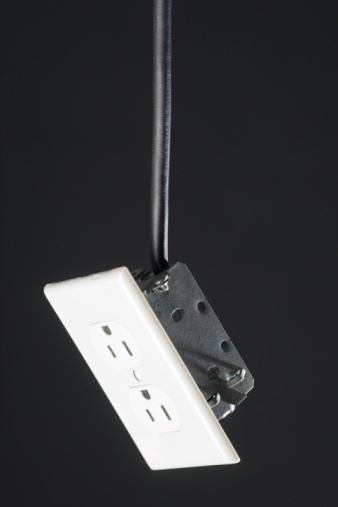 Attach your live wire to the narrow prong side in the same manner.